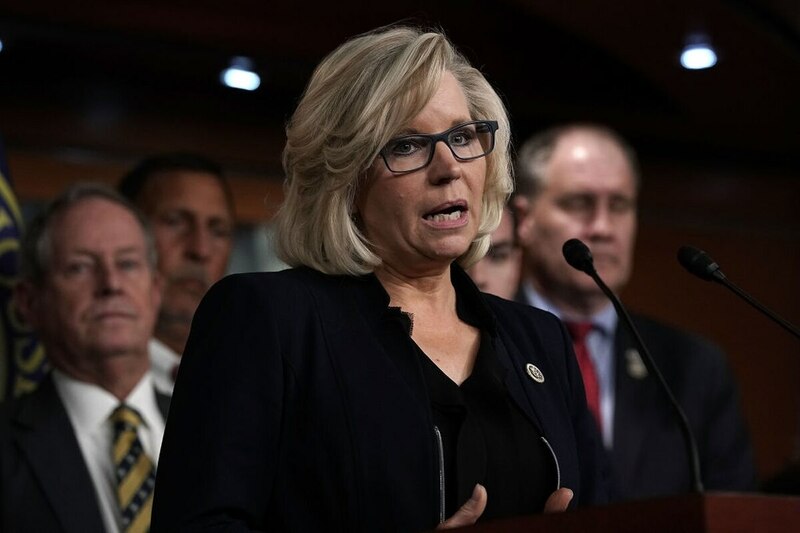 WASHINGTON — Fearful a budgeting logjam could spiral into a long-term continuing resolution, pro-defense lawmakers quarterbacked a series of scathing but symbolic resolutions through the House condemning the havoc that budget gridlock plays with military readiness. On Tuesday, the House approved by voice three resolutions from House Armed Services Committee Reps. Liz Cheney, R-Wyo., Mike Gallagher, R-Wis., and Rob Wittman, R-Va., that each condemn the stop-gap funding measures that typically come when Congress fails to pass appropriations bills before the fiscal year ends Sept. 30. The messaging bills are meant to add pressure to an appropriations process that, weeks after the House passed its defense appropriations bill, has already stalled. A conference committee scheduled to officially launch negotiations between House and Senate lawmakers on a key appropriations package was canceled at the last minute last week over a disagreement for Veterans Affairs funding. During floor debate Tuesday, HASC ranking member Adam Smith, D-Wash., agreed that unpredictable funding hurts the military, but ripped Republicans for supporting three bills at cross purposes: the two-year budget deal, tax cuts and a balanced budget amendment. “We have to address the underlying issue, not just come out and make empty statements about supporting the men and women in our military after putting in place a budget and tax policy that makes it next to impossible to do that,” Smith said. Democrats have in recent years been reluctant to advance stand-alone defense spending bills without a deal with Republicans on nondefense spending. In the Senate, Republicans hold a narrow enough majority that they must bargain with Democrats to vault the 60-vote threshold to break a filibuster. Pro-defense lawmakers also fear the white hot politics surrounding Senate confirmation of a new Supreme Court justice may block the path for spending bills. Senate Majority Leader Mitch McConnell’s decision to cancel the August recess may have put enough time back on the clock to resolve it all. If the effort comes up short, however, the fear is appropriations get punted until after midterm elections in November or the next Congress is seated in January. It wasn’t supposed to come to this. The White House and lawmakers reached a bipartisan, two-year deal for $716 billion for defense and $605 billion for nondefense in 2019. The bills called out equipment mishaps in the two services and the age of some of the Marine Corps' hardware, like the 26-year-old Assault Amphibious Vehicle and 40-year-old Light Armored Vehicle. In the Corps, aviation accidents have jumped 80 percent since 2013 and killed 60 Marines between 2011 and 2017 — while the separate fatal collisions of the destroyers John S. McCain and Fitzgerald were attributed in part to training failures. Army and Air Force resolutions are on tap for next week, according to Cheney. It’s unclear whether the messaging will be enough. In recent years, advancing appropriations bills in either chamber before the fall has been rare, and only once in the last five years has Congress finalized any portion of federal operations by the start of that fiscal year. The current impasse now threatens the future of not just the Pentagon’s budget plan, but that of energy programs, legislative branch operations and military construction all included in the legislative package. Committee officials have not released a timetable for when the conference negotiations may resume. Leo Shane III contributed to this report.